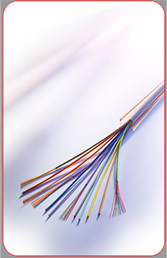 Caledonian, established in 1978, produces a wide range of copper and fiberoptic cables for communication, power and electronics in its primary plants in UK, Italy and Spain. To stay in front, we continually keep expanding our manufacturing capabilities in more low cost region such as China, Romania, Taiwan and Malaysia etc. This low-cost manufacturing facilities enables us provide execute a flexible, scalable global system that delivers superior operational performance and optimal results for our customers. enhance our product lines and services. We understand the need for change and with our accurate planning we are ready for the future and the promise of new marketing opportunities. Our tradition of growth through excellence is assured. technologies and to develop customized, country and industry-specific solutions. Caledonian has established an extensive network of design, manufacturing, and logistics facilities in the world’s major markets to serve the growing outsourcing needs of both multinational and regional customers.